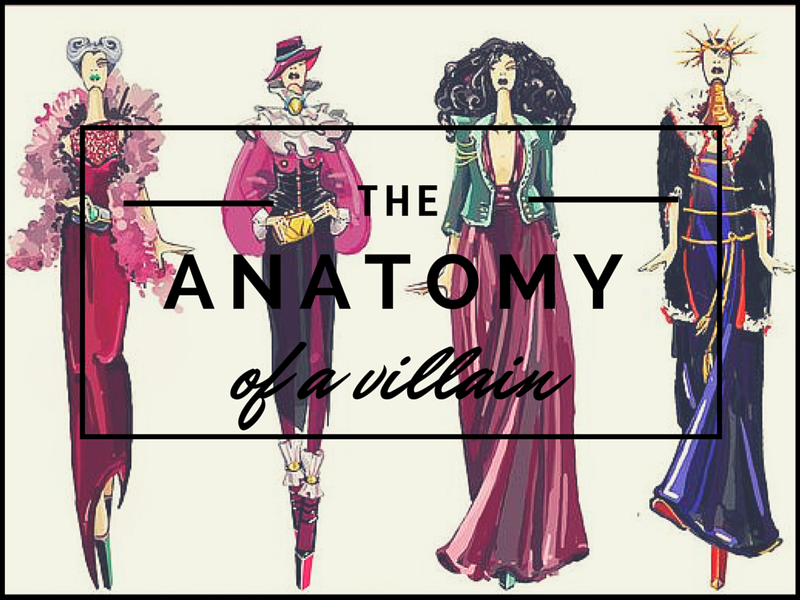 A few weeks ago I wrote about Disney princesses, which brings me to today's question: Which kind of villain would you be? The choice shouldn't simply be based on the charm and charisma of the character, that would be too easy! There are in fact a couple of personality traits that define every villain and might apply to your most evil desires. Is the character acting to achieve something? Or to preserve the status quo? For example: Jafar vs Grimhilde (the Evil Queen in Snow White). Some people tend to pay more attention to the changes around them and they actively seek news and adventure. Every excuse is good to enter any new place you might see in town. Other people feel comfortable and reassured in things remaining the same, such as following a certain routine in their daily life or always taking the same road to work. Is the character taking something away from others? Or is he/she accumulating for him/herself? For example: Ursula vs Cruella DeVil. I've long tried to find a link between this aspect and the physical appearance of the villains. Unfortunately I'm afraid there isn't any. Nonetheless this point is pretty easy to understand but very hard to see applied in real life as usually the two things go together. Is the character motivated from someone else? Or is he/she the only one in charge? For example: Dr Facilier vs Lady Tremain (the Wicked Stepmother in Cinderella). When it comes to motivation we can find two main groups of people: those who need to be reassured about their decisions and who highly value other people's opinion. Others, instead, do not need any kind of direction or suggestion from anyone else: their motto could be "it's my life". Does the character have a masterplan? Or is he/she focusing on a single action? For example: Hades vs the Queen of Hearts. This has to do with how people analyse information. Some are able to step back and look at the big picture, maybe focusing on the general meaning of something before diving in. Others need very specific pieces of information in order to understand how to act in a situation, and when they do they are very precise and punctual. Is the character seeking revenge for an untold past event? Or is the heroine to blame? For example: Captain Hook vs Gaston. To put it bluntly: do you hold grudge? If the answer is yes, your life motto could be "revenge is a dish best served cold". If the answer is no, we trust you on "they had it coming". Does the character take care him/herself of everything? Or has designated helpers? For example: Mother Gothel vs Maleficent. This is one of my pet peeves when it comes to villains. Why would the most powerful witch stay in a castle for 16years when some uncultured swines (literally) are failing at fulfilling her task. What do you say? Do you recognise any of your wicked ways?